MY TAKE FIRST: Well it looks like when Amnesty Don revisits DACA in 6 months if Congress doesn't come up with some way of legalizing these poor little 26 year-olds, the AMNESTY QUEEN will be right by his side giving him ALL THE SUPPORT HE WANTS! 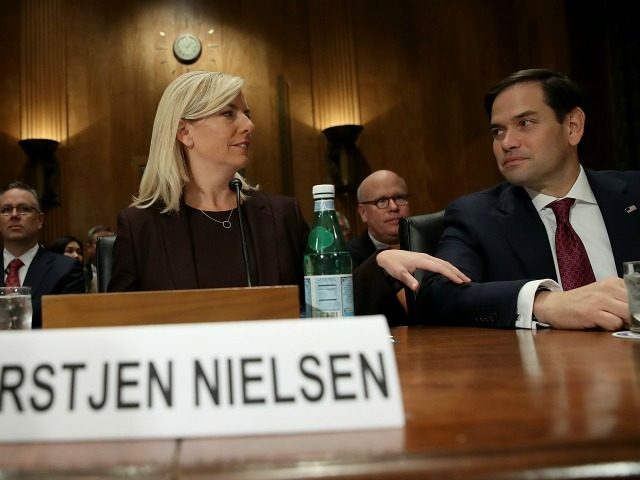 President Donald Trump’s nominee to lead the Department of Homeland Security says she will “look into” reopening applications for the expiring DACA amnesty program. During a congressional hearing this week, Democratic Sen. Kamala Harris pushed nominee Kirstjen Nielsen to allow more illegals to enroll in the program, even though Attorney General Jeff Sessions announced that the DACA program’s award of residency and work permits to 690,000 beneficiaries would expire in March 2018. AG Sessions also ended further enrollment in the program, which was widely expected to be struck down by the federal courts.